DIY garden path ideas: The best affordable 20 garden path ideas. 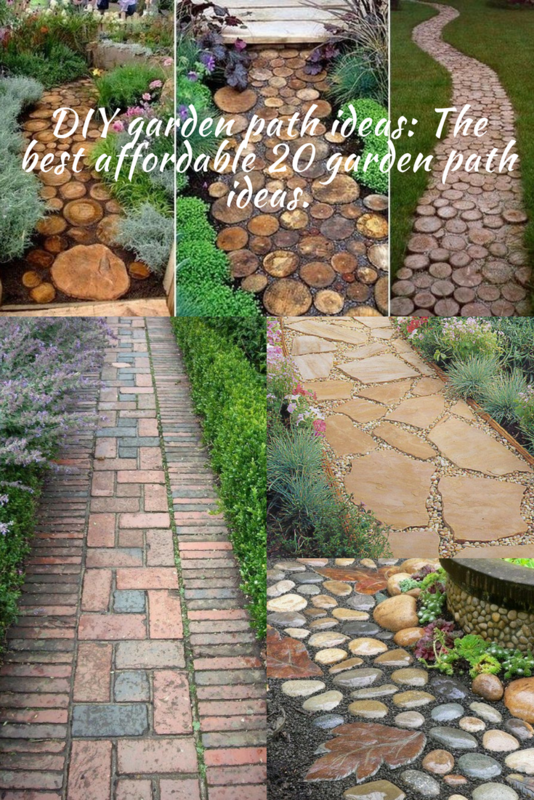 Home/DIY Garden Ideas/DIY garden path ideas: The best affordable 20 garden path ideas. A garden is a beautiful extension to your house. It is your personal oasis from the dullness of life outside the realm of your home. With its flowers, plants, and decors, it helps your house stand out beautifully from the rest of the houses. Therefore adding a nice path to your garden will definitely bring more beauty and charm to it. Garden paths are trendy and popular if you don’t have one you should build one. 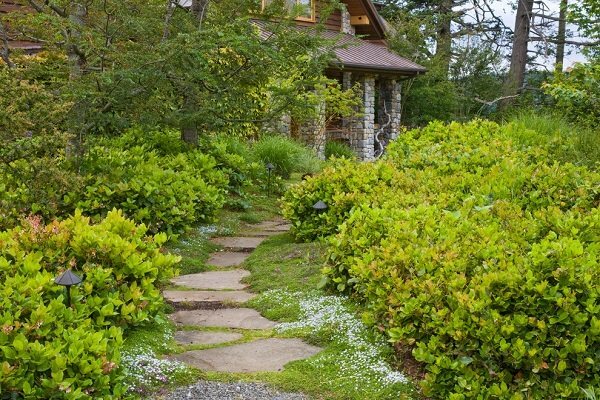 Besides serving a practical purpose and being an access way, garden paths highlight your garden and accentuate your plantings and other features. 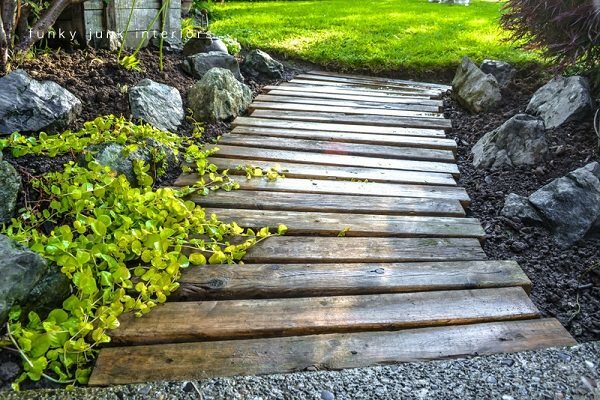 What I like the most about garden paths is that one can construct them basically from any materials available and it takes only a few hours to install them. A well-constructed garden path does not only make access to your garden easy but also draw attention to its beauty. However, it all depends on the right idea. Therefore, we gathered the best garden path ideas in this article. 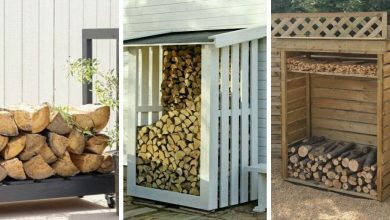 Take a look at them and you will definitely find a model that fits your garden perfectly. 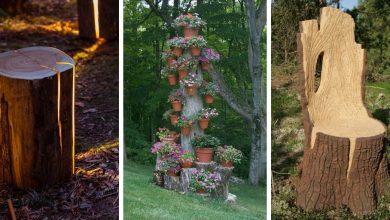 Whenever you cut a tree, you create a unique DIY tree slice pathway, you just didn’t know it. 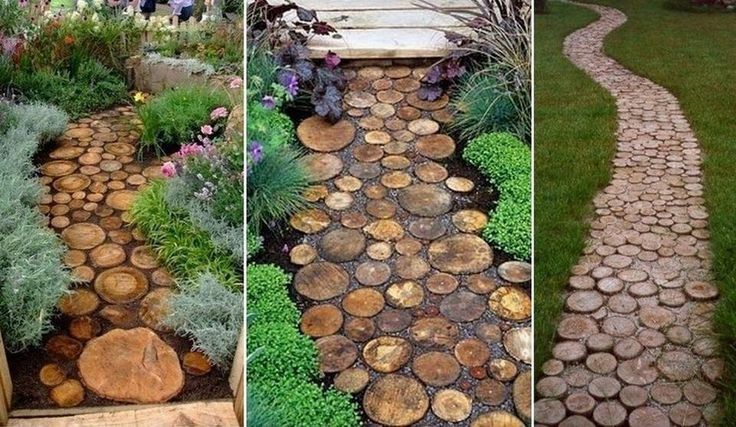 This beautiful rustic garden path is made of trees cut into slices. In order to avoid rot, just coat it thoroughly with water-based proofer on both sides of the wooden slices. If you are worried about termites eating away at this stylish pathway, surround the path with cedar chips and everything will work perfectly. 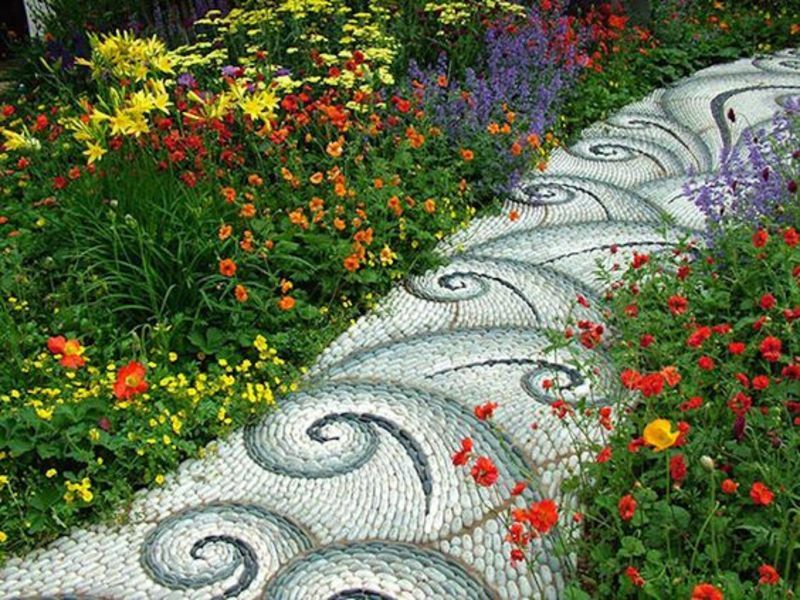 This is a very beautiful garden path design. It is made of a stunning wave of mosaics leading visitors to a beautiful garden designed with natural stone pebbles. This path will look alluring in any garden. This is one of the most basic DIY ideas. it is affordable for most people. Besides being cheap, it is easy to do as you don’t have to dig very deep to achieve what you want. Cheap does not mean ugly. This path is charming. It is perfect for people who want simple cheap paths. 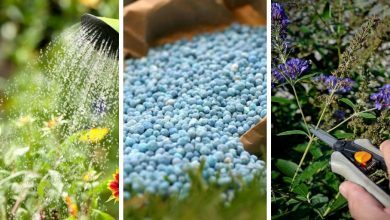 If you want to decorate your garden with this path, follow these instructions. You can ameliorate your basic gravel path by adding brick-shaped stones on each side of the path. This idea allows you to highlight the edge of the path to go give it more dimension and make it look appealing. Additionally, it is the most gentle way to tell people to stay on the path. The full tutorial for creating this garden path is available here. These leaf-shaped stepping stones are made of concrete. They give the garden a more natural look. 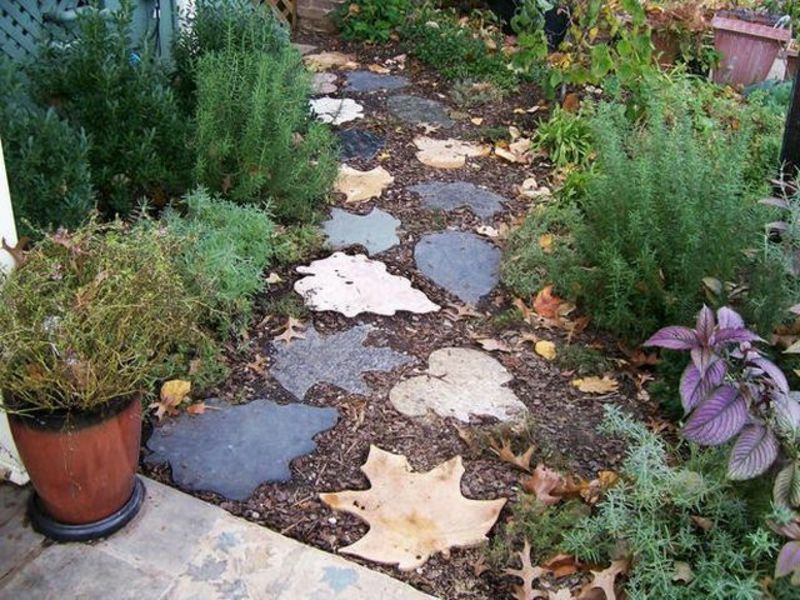 This DIY garden path idea turns nature’s gifts into its very own pathway. 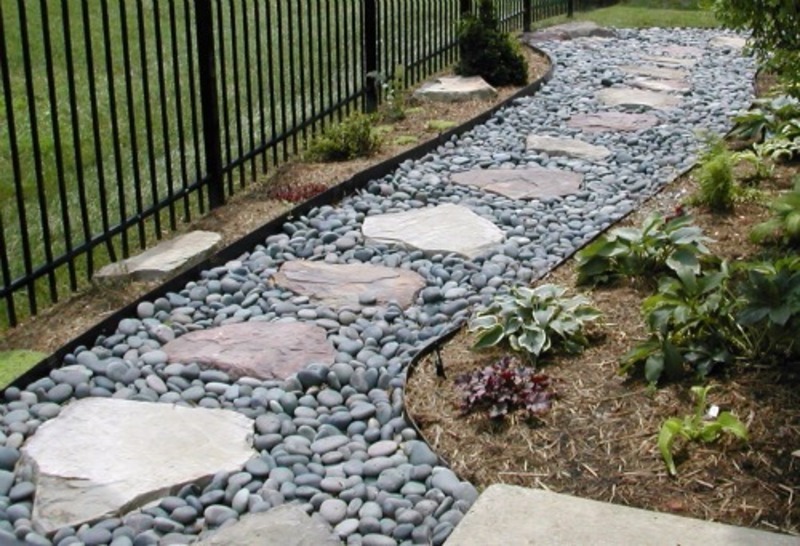 The stones come in a variety of colors creating a colorful and joyful pathway. 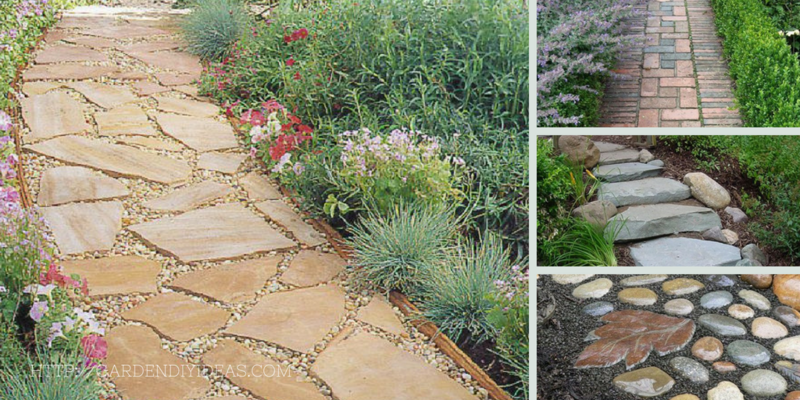 If you want your garden to look more natural, then stone paths are the perfect way to do so. They come in different sizes and texture, and so each stone is unique. 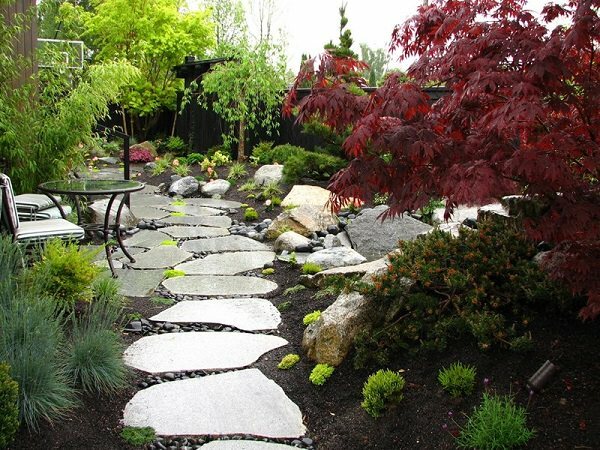 Besides they look gorgeous in any garden, stone paths are one of the best garden path ideas because they age well. they will survive decades looking beautiful. Further information for building this find could be found either in this link or in this one. Did you like the idea of the stone path ? do you want to try it but you already have gravel path? that is not a problem, in fact, that is even better. 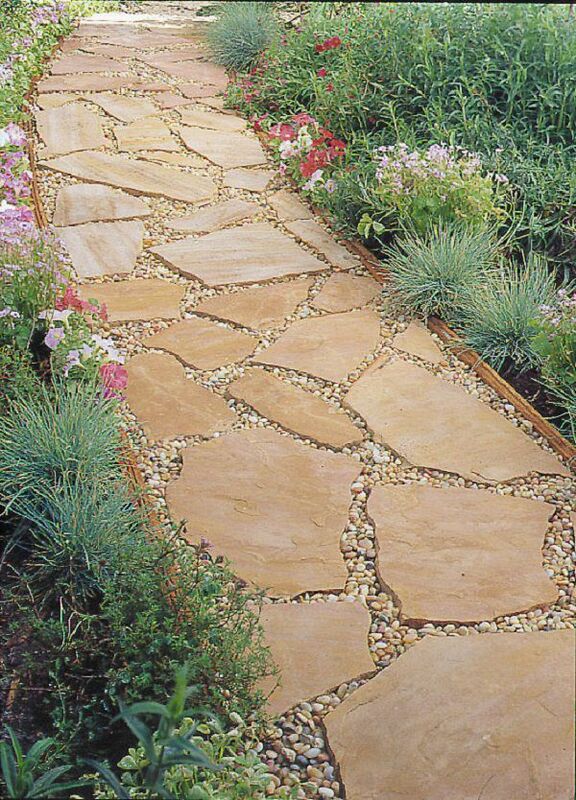 Get some stone chips and throw them into the mix and you will have a breathtaking border pathway for your garden. This is another great DIY garden path idea. the lovely garden path is made of cut stone in the shape of rectangular bricks and lined up and placed tightly together. They are incredibly durable. They will last for decades enduring abuse and weather change. Depending on the side of your pathway, you can create magnificent designs just by how you place the bricks. This garden path idea is the best use of pavers. Follow this step by step guide to help you create this path. 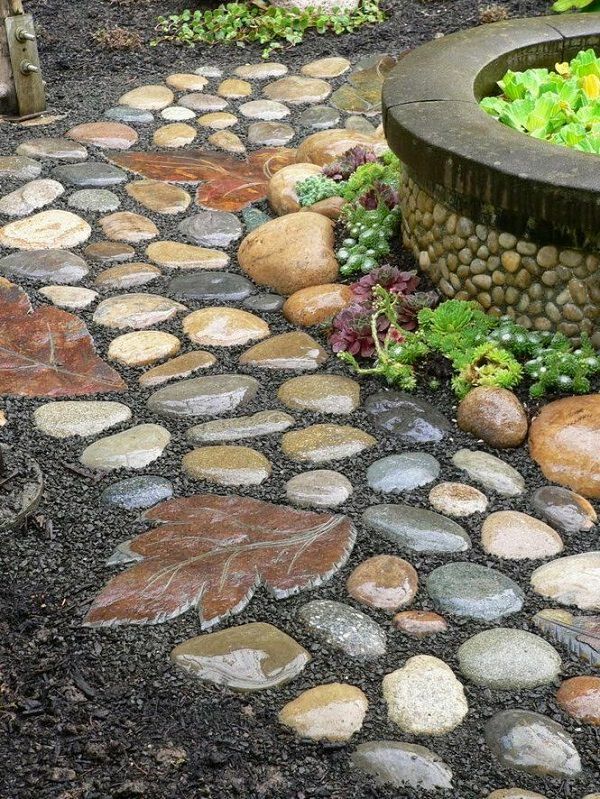 This is a great way to make a creative beautiful addition to your ordinary gravel path. The wooden step path will add charm and loveliness to your old grave path. All you need to do is add wooden planks every so often along the gravel path. Then you will have a rustic appeal for your garden path. It is ideal for gardens with an uneven land. You can find the tutorial for this path here. 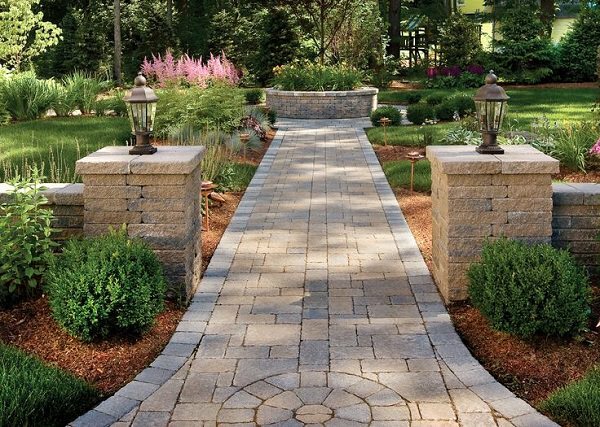 This beautiful outstanding garden path will work with any garden or lawn. You can even use it as a pathway from the street to your house. It is also a durable pathway that will survive for some years. Follow these steps to build this beautiful design. This is one of the most beautiful and stunning garden paths. It is not difficult to make to. All you need is to use Paver stones and pebbles. In contrast to a traditional paver stone path, this kind of path uses square or tile-like stones, flagstones. Put them evenly spaced apart along the path. Once you are done, fill the gaps with pebbles. To make the stones pop, it is best to use a different shade of stone from the pebbles. If you want to learn how to make this path, visit The Home Depot. Generally, Flagstone is used for garden or lawn paths. It is ideal for such uses because it comes in a reddish or orange-ish color that blends well in the dry climate and sunny areas and complements the greenery. 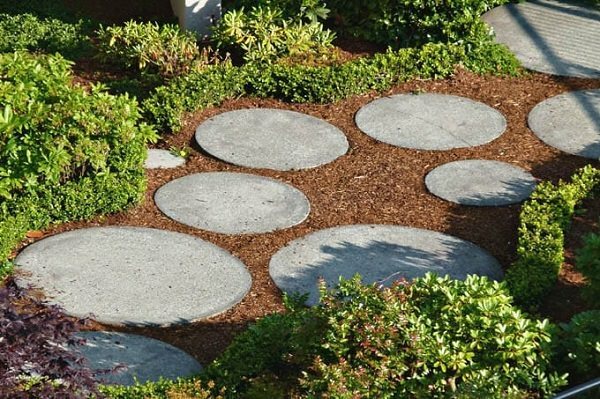 To make your garden look diversifying, use different size of flagstone and cement them like a jigsaw puzzle. The gape between the flagstones could be filled with gravels. A Full guide to creating this model is available at the Sunset. This is an easy to do garden path idea. It takes neither much time nor much effort. They don’t require much digging either. There are edging materials that you can purchase; they just need to be laid out along your desired path. 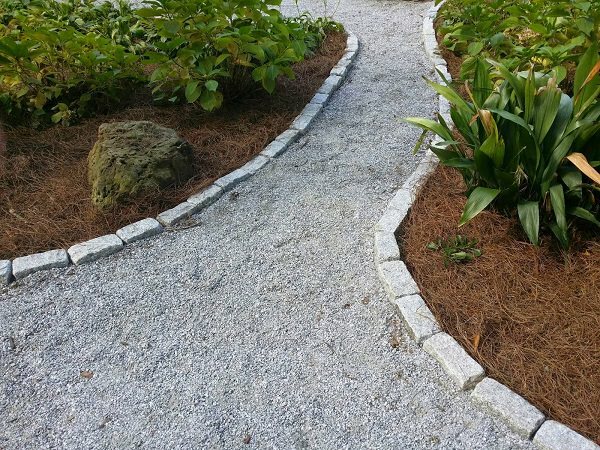 When the path is in place, add some flat stones in your desired design and cover the gaps with mulch. As we said before, it is easy to do and does not take much time. If you want the instructions for creating this amazing path, you can find them here. Although it is similar to a normal garden path, this path doesn’t require a firm base, which makes the steps easier. 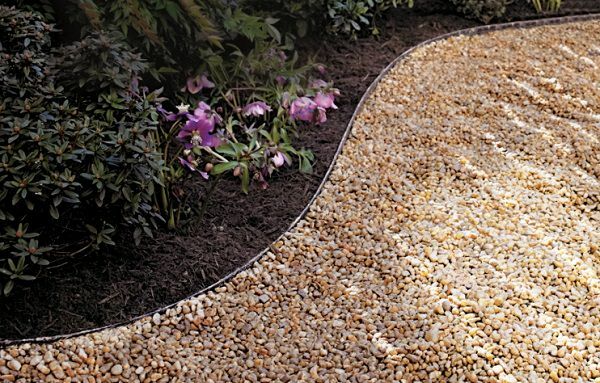 You won’t also need to place edging as you will use plants to cover the gaps between the stones. Preferably, for aesthetic reasons, you should use flat surface stones of different sizes. Place them along with your path. Dig a bit to get the stone fully planted in. You could cover the gaps between the stones with ground cover plants or you could just grow grass. 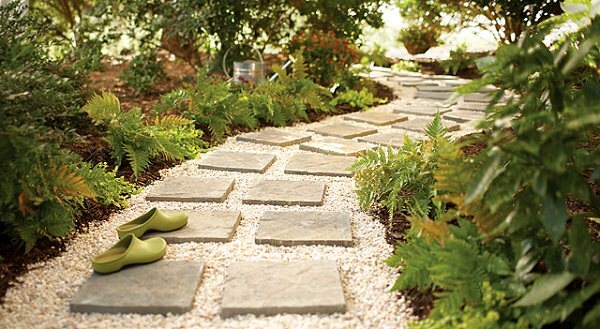 DYI garden path ideas could be simple, inexpensive and beautiful. As an illustration, this idea is based on wood pallets placed one after the other leaving a small space in between. All you need is to steadily place the wooden pallets along the desired path. The gaps between the pallets allow the plants to grow and create a more natural appearance for the path. All the steps to create this amazing garden path idea are available here. 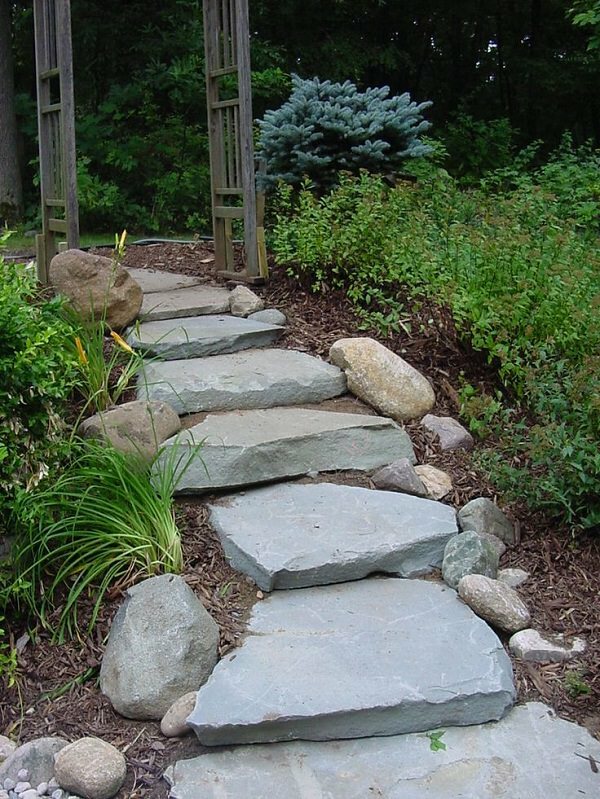 Although this DIY garden path is a bit complicated to create, it is perfect for sloping lawns and gardens as it uses natural stone as steps in a staircase path. It uses flagstones as steps. The stone risers create the next level of each step. It is beautiful and enchanting. You could learn more about this lovely garden path idea here. 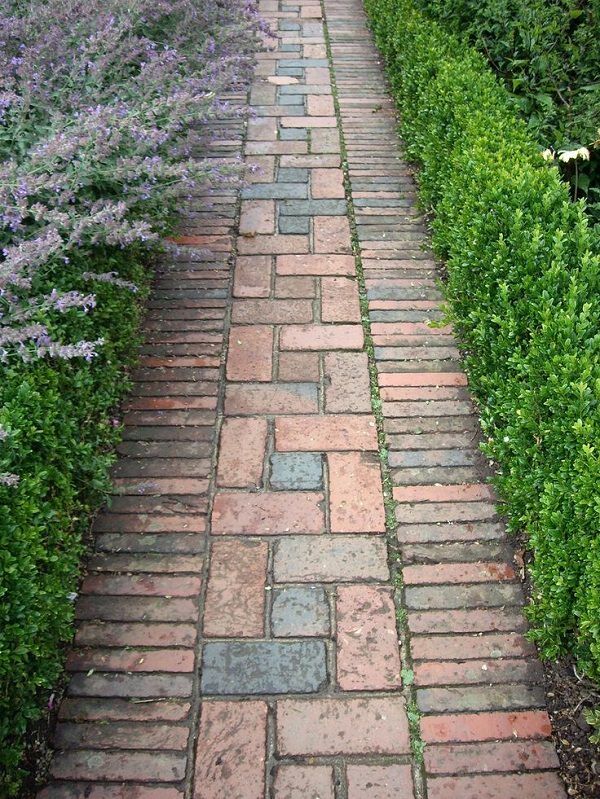 Brick are popular materials to use in creating a garden path. They are amazing and beautiful. They create a lovely pattern for your garden. This appealing garden path idea has a very detailed tutorial in this link. This is definitely the most trendy garden path. 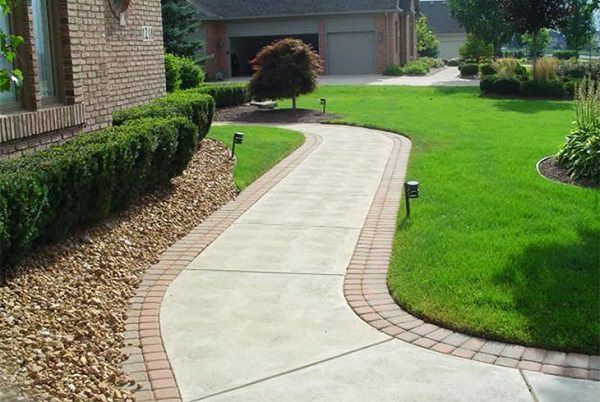 Concrete walkways are the most commonly used garden paths. They are elegant and chic. However, to avoid a boring and dull look, you could add Brick edging to your walkway. This way, your garden path will be colorful. I personally favor this DIY garden path idea. You should definitely try. 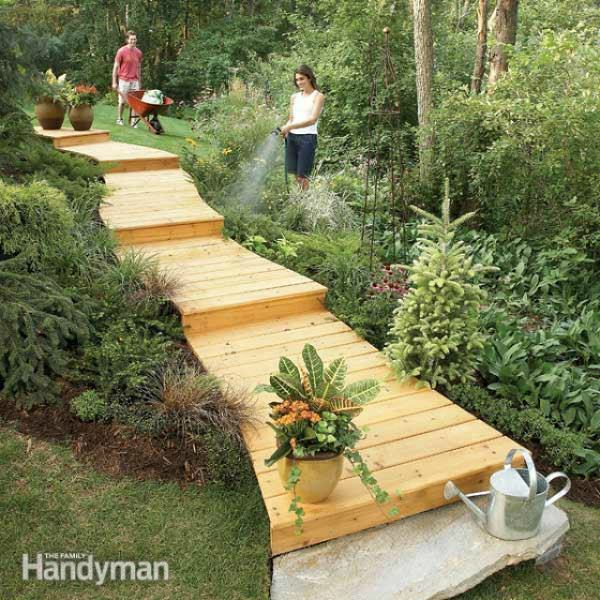 The Family Handyman provides a step by step guide to creating this garden path idea. 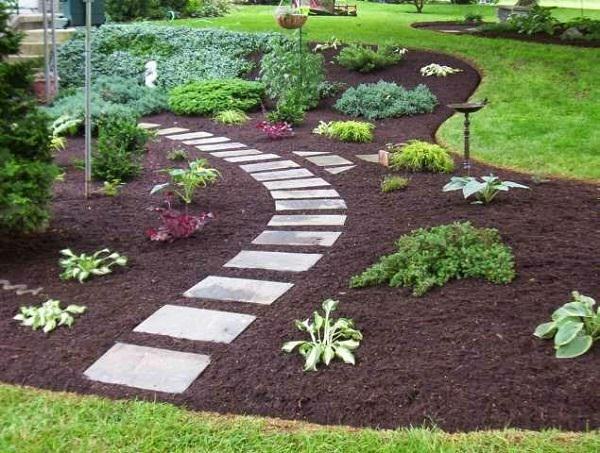 Wood Chips are another creative way to install a decorative garden path. 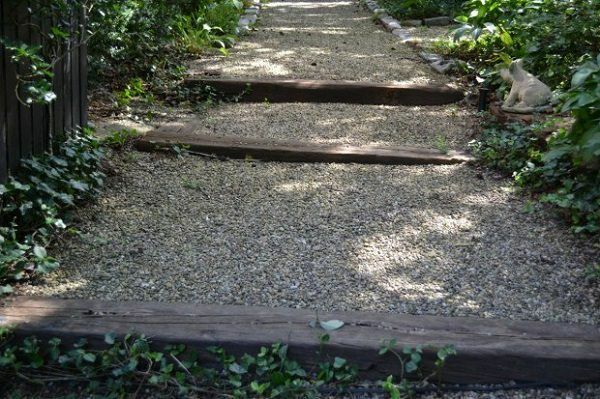 They could your standard gravel or pebbles along your path and works even with stepping stones. In spite of being soft, wood chips are amazingly solid. They can handle heavy foot traffic or even the use of a wheelbarrow. Tutorials are available on this site and this one too. Although that we have mentioned several stone garden paths, this one is unique and different from all of them. It actually mimics the look and the feel of a cobblestone path. It is true that this design is complicated and need a lot of effort to be done. However, it is totally worth it. It is, in fact, one of the most beautiful and the most adorable garden paths. If you want to learn how to install this alluring garden path idea, all you need to do is to visit Instructables. In brief, this is the greatest alternative to stepping stones and will give you a different kind of feel once completed. We hope that you found something you like in our selection of the DIY garden paths. 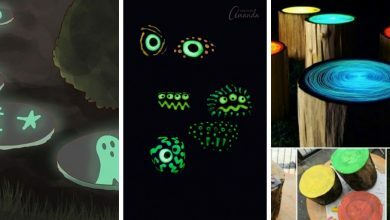 Don’t worry about the cost, most of the above designs are affordable. We made sure to enlist all the beautiful budget-friendly garden paths. If you find something you want to try but you feel hesitant, please contact us and will provide you with all the information you need. Show us your support and tell your friends about us.